Overall, these were very sweet stories that I enjoyed reading. I received this book via Book Look Bloggers in exchange for an honest review. From the first page I was hooked. It was not one of those action packed fantasies that can take a while to get built up, but rather you are captivated from the start! A young Oliver and his mom are driving one night when something in the road catches their eye. They find a girl about Oliver’s age with no memory but her name, May. Flash forward 10 years, Oliver’s mom has adopted May, and the teens come home to find their mother’s room torn apart and she is nowhere to be found. A detective arrives, and not long after, comes another, claiming to be the first one on the scene. Oliver and May take them upstairs to find the first “detective” gone, and their mom’s room in order. It seems like nothing ever happened. Since they are minors, they can’t be alone, and are shortly shipped off to their grandfather’s house, whom they’ve never even met. He lives in a magical looking mansion with a huge tree coming out of the center, and things just don’t seem normal here. One night, Oliver wakes up to the sound of May screaming, with black veins slithering under her skin. Ely, their grandfather, realizes he can’t hide anymore about who he is-a mage, and is a gatekeeper for Aleva, one of 7 worlds beside Earth. Oliver and May have to compete in a race in order to earn keys to the other worlds where they will receive more answers about all of the secrets that just keep coming to life. Oliver learns what really happened to his father, and we keep catching glimpses through flashbacks of Isaac, who has been in Vale, one of the worlds desolate, occupied by Varks-some scary creatures! The author has also created, aside from seven unique worlds, some freaky and unique creatures-hogtrouts, bats that burst into flames, just to name a few! The reason for a 4 star rating, while I thouroughly enjoyed the unique storyline, thrill, and fantasy, I felt the world building and descriptions were extremely overwhelming. I also hated the cliffhanger ending! But the characters were dimensional, enjoyable, and the plot was exhilarating, and I can’t wait to continue the series. 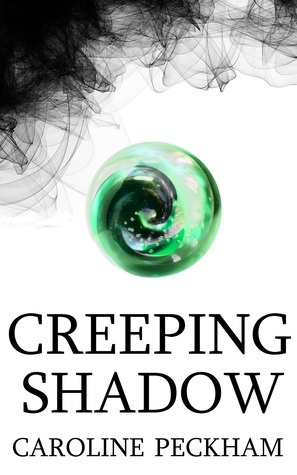 Creeping Shadows releases December 10, 2015. I was provided an ARC from the author in exchange for my honest review. Thank you, Ms. Peckham! While Texas is known for loving football, Lexi Stewart has always been drawn to the ice. Hockey is her passion, and she wants nothing more than to pursue a career in video editing for the home network of the Dallas Demons hockey team. Lexi has an editing job for a corporate account, but it’s not fulfilling. Nor is her dating life, despite having the so-called help of The One Online Dating Service. Lexi knows there has to be more for her—on both fronts. She’s ready to take the next step, but it doesn’t seem like it’s going to happen anytime soon. Until a flying puck changes everything. Niko Xenakis is the new Dallas Demons TV producer, and he’s looking to make his mark in his new role and hopefully work his way back to his hometown of Baltimore. But once he meets Lexi, he might just change his mind on what he wants for his future . . . But the road to love is never easy, complicated by the fact that they both carry emotional baggage from the past in their hearts. Can these two “breakout”of the past to find love in the present? 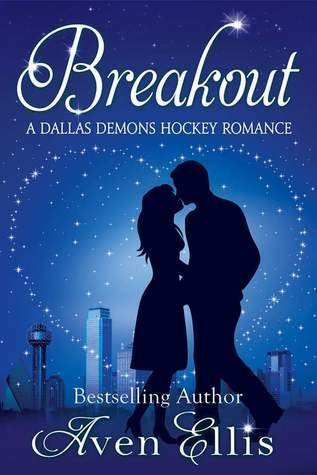 The third book in the Dallas Demons series is just as romantic and funny as the previous two! Lexi is trying to achieve her dream of editing hockey for Total Access Total Sports when one day, the answer to her dreams literally crushes her against the bleachers to save her from a runaway hockey puck! From the start I was in love with Lexi and Niko. Lexi is such a headstrong woman who, like I always say about Aven’s female main characters, is someone I want to be friends with. She grew up in Dallas with her adoptive parents, who are well off, but Lexi has paved her own way and never relied on their money, and by whom she is loved and adored by. Lexi is surrounded by loving, encouraging people, like her best friend Kenley, and second mother, CiCi, but deals with feelings of being abandoned and left unloved since her birth parents gave her up. She is a wonderful friend, has beautiful red hair, an eclectic collection of pj pants, is passionate about hockey, and pursuing her dream job. Niko is Greek, with Mediterranean sea blue eyes, and a Greek tattoo that peeks out from his dress shirts. Niko comes from a completely different background than Lexi. He grew up working in his parents bakery in Baltimore without any encouragement from them to pursue his dream of producing. They expect him to work in the bakery and marry a “nice Greek girl.” He has always felt like he is not good enough and a disappointment to his family. So the two each bring some baggage to the table. Like all of Aven’s novels, as in real life, this isn’t a perfect-nothing-goes-wrong romance. Lexi and Niko have fights, there are mis-communications, but they always work things out. Lexi has to deal with a “reality show reject” at work who has eyes for Niko. Niko needs to stop thinking of himself as the son who lets his parents down and realize he is worth love, from the right woman. As I’ve said before, I don’t think any couple can top William and Mary-Kate (Connectivity) but Niko and Lexi are coming in at a close second! This book will make you laugh, cry, and wish with all your heart that things start to fall into place for Lexi and Niko soon! The little gifts that Niko brings Lexi, like finger-less gloves for working in the office, and her favorite Gingerbread Latte, are so sweet and thoughtful. The supporting characters are awesome as well- I really loved CiCi in this book. She is still nosy, but loves Lexi like a daughter and will do anything to help her and Niko stay together! And Kenley is such a great best friend. She’s always there with some yummy chocolate and to offer advice, especially when Lexi doubts herself. 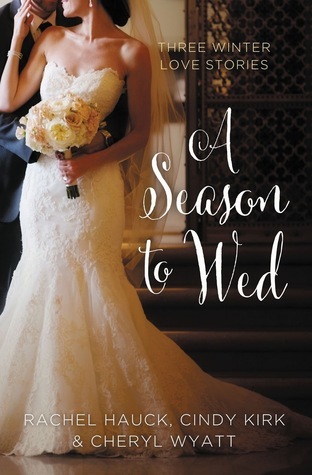 The setting, besides the romance, is one of my favorite aspects of this book as it’s set around the holidays, Thanksgiving and Christmas. I love looking at Christmas lights and just being surrounded by the magic of the holiday season, and it’s always great when Starbucks brings back their red cups! 🙂 Another fun and memorable aspect of Aven’s books are the attention to detail. For example, how Lexi wears Jo Malone Wood Sage and Sea Salt perfume (I need to smell this!!) and applies her Bite Rhubarb lip crayon before her date. I LOVE little details like that, it helps me to really envision the character. I love this book with the intensity of a thousand suns. There’s only one thing I disliked about Breakout- the fact that it had to end! I’m thankful for the epilogue-the fact that there wasn’t a cliffhanger and it was just so beautiful and romantic. Now I can’t wait for On Thin Ice and Trivial Pursuits, some upcoming releases by the author! As always, a huge thank you to Aven for gifting me this novel. Breakout releases November 4th on Amazon! !